V. S. Associates provides the services of a Property Legal Advisor in Haryana. The services of a Property Legal Advisor offered by us are the best in the market as the finest legal counsel is provided by us. Legal advice is provided for different property types like Residential, Commercial, Industrial and Agricultural properties. Our Property Legal Advisor specializes in Property Documentation, Property Law Services and Property Litigation. As documentation is an important aspect of the Buying, Selling and Renting of properties, we provide simple, accurate and authentic documentation for all property transactions. 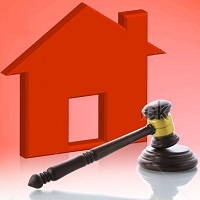 We provide the most competent Property Law Services in the market. We offer the services of Property Litigation in Haryana. Our Property Legal Advisor is an expert in handling all sorts of property disputes. Generally, cases of property dispute take a lot of time to get sorted out owing to some legality like ULCRA, unclear property titles, stamp duty & registration, rental laws etc. but not when we are involved in the proceedings. With our involvement, all cases of property litigation are resolved quickly and amicably.